Also, Divertimento for String Orchestra. Peter Serkin, piano; Seiji Ozawa, Chicago Symphony Orchestra; Rudolf Barshai, Moscow Chamber Orchestra. HDTT HDCD248. 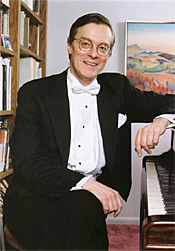 American pianist Peter Serkin (b. 1947) is into his fifth decade of performing, and while he is among the world's leading pianists, he has never quite achieved the intense following his father, pianist Rudolf Serkin, acquired. I suppose that's one of the drawbacks of performing in the shadow of an illustrious parent, unfair as it is. 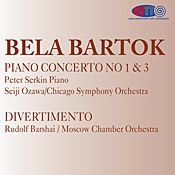 Anyway, on this remastered disc from HDTT (High Definition Tape Transfers), we hear Peter Serkin in one of his earliest recordings, two 1967 performances of Bartok with Maestro Seiji Ozawa and the Chicago Symphony. The album begins with the Piano Concerto No. 1, written in 1926 by Hungarian composer Bela Bartok (1881-1945). It is not the most smiling work in the world, full of hard edges and blunt percussives. Although it displays much of the coarse dissonance typical of Bartok's work, it also utilizes a good deal of Baroque-style counterpoint. Along with his Concerto for Orchestra, which came much later, the First Piano Concerto remains one of the composer's most popular pieces. So, how does Serkin handle it? Well, he's an extremely discerning, precise, and somewhat reserved player, so his interpretation is characteristically more reflective than it is edgy or exciting. The problem is, I'm not sure that's exactly what the music needs. All three movements of the First Concerto seem more leisurely than one usually encounters in Bartok performances, making them perhaps a shade more scholarly than not. In the Andante, especially, Serkin imbues the music with an eerier quality than do most other pianists, taking it at a much slower pace; but that's about the only place his approach works well. One thing he does provide in abundance, though, is contrast, because after the ultraslow Andante, he launches into a pretty heady Allegro. Still, what I missed most was a compelling forward pulse, a building of tension and its consequent release. It is these qualities one finds in Bartok readings from pianists like Stephen Kovacevich (Philips), Zolton Kocsis (Philips), Krystian Zimerman (DG), and Vladimir Ashkenazy (Decca). Serkin fares better with the Concerto No. 3, written in 1945, maybe because it is lighter than the First. Bartok wrote the Third at the very end of his life, not even finishing the last few bars, and it might have been his way of showing the world that he had softened considerably from his younger, more defiant days. Here, Serkin, with his studied approach, seems more at home with the composer's newfound melodic normalcy, even if there still appears to be a degree of slackness in the rendition. Be this as it may, when you factor in the excellence of the HDTT remastered sound, Serkin's Third might be a reasonable consideration for anyone who enjoys Bartok. Bartok's Divertimento for String Orchestra comes from 1939, and on the present disc we have it performed by Rudolf Barshai and the Moscow Chamber Orchestra. Barshai helps it along with dash and élan in the outer movements and splendid atmosphere in the Adagio. You won't find a better reading than this one, and when you again count in the superb audio quality, you get a top-of-the-line choice in this repertoire. RCA recorded the Piano Concertos in 1967, and HDTT transferred them to compact disc from an RCA 4-track tape. The sound is a tad forward overall, but it suits the music, and it provides an exceptionally well detailed experience, with plenty of air around individual instruments. The transient response is quick and taut, the piano firmly grounded within the orchestral setting, its attack strongly delineated. While the clarity and exactitude of the sound tend to diminish somewhat the apparent size of the orchestra, a fairly realistic stage depth helps the illusion of one's being in front of a live ensemble. Loud outbursts, cymbals, and triangles emerge impressively, as do all of the percussive instruments for that matter, including the piano. Decca recorded the Divertimento in 1962, and HDTT transferred it from a London 4-track tape. It may not have quite as much orchestral depth as the RCA production, but it displays a better left-to-right stereo spread, with better fill. It also sounds a shade bright to my ears. Be that as it may, like the RCA recording it exhibits a vivid, vibrant sound, a wide dynamic range, and a potent transient impact. For information on HDTT discs and downloads, you can check out their Web site at http://www.highdeftapetransfers.com/storefront.php. Also, Rhapsody No. 2; I Got Rhythm Variations. Orion Weiss, piano; JoAnn Falletta, Buffalo Philharmonic Orchestra. Naxos 8.559705. American composer George Gershwin (1890-1937) made his name in the musical world in 1924 with Rhapsody in Blue, in which he fused American jazz and classical orchestral music. It probably seemed unique at the time, and it certainly proved influential. But maybe folks back then had already forgotten that the American pianist and composer Louis Gottschalk had done much the same thing some half a century earlier with his Night in the Tropics symphony and Latin American Symphonette. Be that as it may, audiences loved what Gershwin did, and in the following thirteen years before his untimely death, he practically changed the way people would look at serious music forever, with the Concerto in F, An American in Paris, the Cuban Overture, the opera Porgy and Bess, and a whole series of film and Broadway show songs. 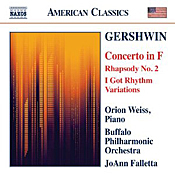 In the present album American pianist Orion Weiss, conductor JoAnn Falletta, and the Buffalo Philharmonic present three of Gershwin's most-famous creations, the Concerto in F, the Rhapsody No. 2, and the I Got Rhythm Variations. Although I was not familiar with Mr. Weiss's playing, I have been an admirer of Ms. Falletta's work in Buffalo for some time and looked forward to their collaboration. They did not disappoint me. Gershwin wrote his Concerto in F in 1925, and in its way it's a bit odd, the piano never quite dominating the proceedings the way you would expect in a concerto. An Allegro opens the piece in a big, robust, sweeping fashion, with Weiss and Falletta leading the way in a forward drive they sustain wonderfully. Supposedly, the Concerto in F was Gershwin's way of saying he could write a "proper" concerto after the popular success of Rhapsody in Blue a year before. The fact is, the Concerto is not as melodic as the Rhapsody, which is probably why it is not as memorable, yet the two works bear a marked resemblance to one another. The second-movement Adagio evokes the languorous, soulful mood of a nocturne, particularly in the bluesy segment for trumpet and cornet and then in a more breezy and buoyant section when the piano enters. As Gershwin was a fan of Chopin, who wrote so many nocturnes, the similarities would seem appropriate. When the piano does appear, Weiss maintains a good, jaunty, yet poetic cadence. Then the finale takes up where the first movement left off, big and brassy, Weiss's piano displaying a bravura temperament. Weiss shows us he's a spirited Gershwin interpreter, and one hope he returns for more. Next up is the Rhapsody No. 2, which Gershwin wrote in 1931 for a Hollywood film, Delicious, with Janet Gaynor. The studio wanted the music to represent the hustle and bustle of New York City, prompting the composer originally to call it Rhapsody in Rivets. Fortunately, he changed his mind about that one. Here, everyone involved with the performance is again in top form, and the piece bubbles over with extravagant, effervescent enthusiasm. Gershwin wrote the I Got Rhythm Variations for Piano and Orchestra in 1934 for a concert tour celebrating the tenth anniversary of Rhapsody in Blue. It would be the last composition he would fully orchestrate. He based the variations on the tune of the same name from his 1930 hit musical Girl Crazy, the variations marking various musical styles from waltz to Chinese to Arabesque. Weiss, Falletta, and the orchestra handle all of it with ease and practically bring down the rafters. 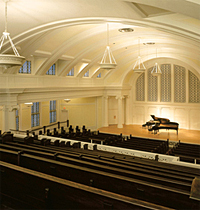 Naxos recorded the music in Kleinhaus Concert Hall, Buffalo, New York, in November of 2010. It's something a little different for the company in that rather than the warm and slightly veiled sound we often hear from Naxos recordings, this one is very open, very clear, very clean, and very transparent. Coupled with a huge dynamic range, strong transient impact, and deep, taut bass, the results are often startlingly realistic. The piano is somewhat close, true, but it fits in well with the rest of the sonics. First place: Jonas Tarm, 18, Highland Park, Ill. for Las Ruinas Circulares for flute, violin, cello, and piano. Tarm is a student in the Music Institute's prestigious Academy for gifted pre-college musicians. Students from the Academy will perform the three winning compositions at its free Young Composer's Concert March 9 at 7:30 p.m. at Nichols Concert Hall, 1490 Chicago Ave., Evanston, Il. The program also will feature works from the Music Institute's Composer's Lab Program, created by Composer-in-Residence Mischa Zupko, and performances by young composers from the studio of Chicago-based composer Dr. Stacy Garrop. The Music Institute again has partnered with 98.7 WFMT to record the performance for future broadcast on the popular radio program Introductions, which celebrates talented pre-college classical musicians. The concert is part of the Music Institute's annual Four Score Festival, which celebrates contemporary music--this year highlighting Charles Ives March 4 and Aaron Copland March 11. February 21, 2012 marked the global release of the Juilliard Sessions, a partnership between EMI Classics and the Juilliard School that aims to present to the world some of classical music's most promising young stars in a series of digital EP albums. The three inaugural recordings are by recent Juilliard alumni Paul Appleby (tenor) and Sean Lee (violin), as well as pianist Conrad Tao, who is a Pre-College alumnus currently at Columbia University studying in the combined bachelor-master degree program with Juilliard. They will be released by EMI Classics, available now exclusively on iTunes (www.itunes.com). This unprecedented joint initiative offers a way to help these students gain exposure and experience in the fast-moving digital world of today's classical music, teaching them the process of recording and releasing an album online. Each student was selected by a panel of judges first at Juilliard, then at EMI Classics, and was given the opportunity to record an EP-length album consisting of repertoire they themselves selected. The EPs are mastered specifically with iTunes in mind, using high-resolution sourced audio to deliver the music to listeners exactly the way the artists and recording engineers intended. The end result provides fans with an incredibly rich and detailed listening experience. Juilliard will celebrate the release with a free public concert featuring all three students in performance on Monday, March 12th at 8:00 p.m. in the School's Paul Recital Hall (155 W. 65th St., New York, 10023; Messrs. Appleby, Lee, and Tao will perform selections from the tracks recorded for The Juilliard Sessions. Free tickets are available starting February 27 at the Janet and Leonard Kramer Box Office at Juilliard, 155 West 65th Street, Monday – Friday, 11 a.m. - 6 p.m. Phone 212 769-7406; information at events.juilliard.edu. The three EP releases feature a broad variety of repertoire, reflecting the diverse musical tastes of the three winners. Pianist Conrad Tao chose a pair of Debussy preludes, followed by Stravinsky's Three Movements from 'Petrushka' (a piano arrangement of music from the ballet of the same name), and closing with a work composed by Conrad himself, entitled Three Songs. 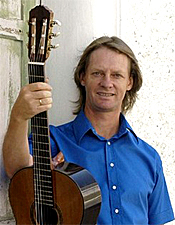 Tenor Paul Appleby recorded a trio of Schubert songs and Britten's Seven Sonnets of Michelangelo. Twenty-four year old violinist Sean Lee recorded Richard Strauss's Sonata for Violin & Piano in Eb major, a work written when the composer was the same age as Lee is now. The Digital Debut Series--which launches with The Juilliard Sessions recordings and a similar series of releases from students at The Royal College of Music, London--is an initiative by EMI Classics to present to international audiences the work of some of classical music's most promising young stars. Beginning with two the world's most prestigious music schools, Digital Debut plans to expand each year to include new conservatories from around the world. The Emerson Quartet announced what will be its first member change in 34 years when cellist Paul Watkins replaces David Finckel at the end of the 2012-2013 concert season. Mr. Finckel, who joined the Emerson Quartet in 1979, will leave the group to devote more time to his personal artistic endeavors. Eugene Drucker, Philip Setzer and Lawrence Dutton jointly stated: "For more than thirty years we have worked intensively with David Finckel, sharing countless personal and musical experiences. Our collegial feelings toward this marvelous cellist are mingled with awe and admiration for his manifold talents as a chamber music player, soloist and artistic director of two major presenting organizations and a recording company. Anyone who comes into contact with David must be struck by his unflagging energy, insatiable appetite for work and astonishing ability to manage his time (without which his three parallel careers would be impossible). His passionate, uncompromising commitment to our art could serve as a beacon to those who have lost their way in these economically and culturally disorienting times. The impending departure of such an extraordinary colleague has given us a chance to reassess our goals and articulate a new vision for the future of the Emerson String Quartet. It is only fitting that David's successor be a multi-talented musician, an accomplished conductor as well as an outstanding soloist and experienced chamber music player. In Paul Watkins, we three upper string players of the ESQ will continue to find a source of inspiration. Since Paul is almost two decades younger than the rest of us, we see his coming both as an opportunity to reaffirm and renew our commitment to the musical values we have long held dear, and as a chance to ensure the continuation of the Emerson String Quartet beyond the participation of any individual member." The Emerson String Quartet has an unparalleled list of achievements: nine Grammy Awards (including two for Best Classical Album, an unprecedented honor for a chamber music group), three Gramophone Awards, the coveted Avery Fisher Prize and an international reputation for groundbreaking chamber music projects and correlated recordings. 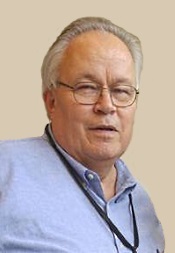 In addition to a career which has been unrivaled by any string quartet, Philip Setzer, Eugene Drucker, Lawrence Dutton and David Finckel are respected for their integrity, the tireless effort with which they reach out to others on behalf of the music they serve, and a unique generosity of spirit and enthusiasm which has remained untarnished for thirty-three years. Horn player William VerMeulen will perform Mozart's charming Horn Concerto No. 3 in E-flat Major with the National Philharmonic, under the direction of Associate Conductor Victoria Gau, on Saturday, March 24, 2012 at 8 pm at the Music Center at Strathmore. The All Mozart concert will also feature the composer's moving Requiem in D minor, with soprano Esther Heideman, mezzo-soprano Linda Maguire, tenor John Aler, bass Kevin Deas and the National Philharmonic Chorale. The program also includes Mozart's Serenade in G Major, K. 525 (Eine Kleine Nachtmusik). Assistant Conductor Victoria Gau makes her National Philharmonic debut in this all-Mozart concert, which opens with the composer's joyful and beloved Eine Kleine Nachtmusik ("A Little Night Music"). The Horn Concerto No. 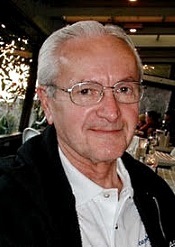 3 was written for the outstanding horn player Joseph Leutgeb, a lifetime friend of Mozart's. Mozart's Requiem, his final and arguably greatest work that was left unfinished at his death, has generated speculation, rumor and mystery, beginning with melancholy fantasies of the composer himself. It is considered one of Mozart's most profound and moving works. Principal Horn of the Houston Symphony, a position he has held since 1990, William VerMeulen, leads his generation of American horn soloists. He is hailed as "an impeccable solo horn" by the Berlin Neue Zeit; In Tune magazine comments, "the horn playing of William VerMeulen is miraculous!...clearly one of today's superstars of the international brass scene;" and Fanfare magazine observes, "Horn virtuoso William VerMeulen may be the best of the lot, commanding his difficult instrument with suavity and grace." Lauded by critics for her "strong sense of style and drama" and her "enthusiastic and perceptive conducting," National Philharmonic Associate Conductor Victoria Gau is Artistic Director and Conductor of the Capital City Symphony and former Conductor and Music Director of the Richmond Philharmonic Orchestra. A free pre-concert lecture by National Philharmonic Music Director & Conductor Piotr Gajewski will be offered at 6:45 pm on Saturday, March 24 in the Concert Hall at the Music Center at Strathmore. To purchase tickets to the All Mozart concert, please visit nationalphilharmonic.org or call the Strathmore box office at (301) 581-5100. Tickets are $28-$81; kids 7-17 are FREE through the ALL KIDS, ALL FREE, ALL THE TIME program (sponsored by The Gazette). ALL KIDS tickets must be purchased in person or by phone. Photo of horn player William VerMeulen was taken by Eric Arbiter. The Music Institute of Chicago, now in its 82nd year, hosts its annual gala Tuesday, May 1 at the Four Seasons Hotel Chicago, 120 East Delaware Place. The oldest community music school in Illinois and one of the three largest community music schools in the nation, MIC is planning a celebratory evening highlighted by the presentation of the Dushkin Award to internationally acclaimed stage and film composer/lyricist Stephen Sondheim. Chaired by Alexandra C. and John D. Nichols, the evening begins at 5:30 p.m. with cocktails and hors d'oeuvres, followed by an elegant dinner and awards presentation. The prestigious Dushkin Award, established 26 years ago and named for MIC's visionary founders Dorothy and David Dushkin, recognizes international luminaries in the world of music for their contributions to the art form, as well as to the education of youth. Past recipients include Riccardo Muti, Yo-Yo Ma, Leon Fleisher, Renée Fleming, Placido Domingo, William Warfield, Isaac Stern, Sir Georg Solti, Pierre Boulez, Samuel Ramey, and Bruno Bartoletti, among others. This year's recipient, Stephen Sondheim, has been honored with multiple Tony Awards, as well as Grammy and Academy Awards, and the Pulitzer Prize for Drama in 1985. The Music Institute of Chicago will confer its third annual "Cultural Visionary Award for Chicago," which recognizes individuals who have provided visionary philanthropic and civic leadership for the broad spectrum of arts in Chicago and Illinois, on Marilynn Alsdorf, an unparalleled leader in supporting Chicago's visual arts institutions. Musical performances throughout the evening will include young musicians from both the Music Institute's Community School, including the Musical Theater program, and the prestigious Academy for gifted pre-college musicians, many of whom receive financial aid or scholarship support. Ensemble in residence Axiom Brass also will perform. Honorary Chairs for MIC's 82nd Anniversary Gala include John H. Bryan, Joan W. Harris and Cindy Pritzker, all of whom received the inaugural "Cultural Visionary Award for Chicago" at the 2010 80th Anniversary Gala. The generosity of individuals and companies who support the annual gala provide the primary source of scholarship and financial aid programs that benefit more than 5,000 students annually at the Music Institute's eight primary campuses, as well as through its extensive outreach programs in Chicago Public Schools and with community-based nonprofit organizations. Tickets to the Music Institute of Chicago's 82nd Anniversary Gala are $550. For information, please call 847.448.8327. Also, Marche Slave. 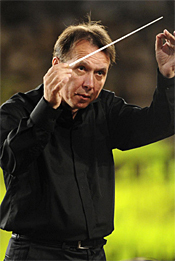 Mikhail Pletnev, Russian National Orchestra. PentaTone Classics PTC 5186 381. Maestro Mikhail Pletnev and his Russian National Orchestra continue their march through the Tchaikovsky symphonies, with only a few more remaining in the cycle. When they finish, PentaTone will probably gather all the recordings together in a complete box set. Who knows. In the meantime, Pletnev has not exactly knocked me over with his eloquent but rather cautious interpretations of Symphonies Nos. 4-6. With No. 1, however, he seems more in command, more in control; either that, or his recent conservative streak better suits the music of No. 1. Russian composer Peter Tchaikovsky (1840-1893) wrote his Symphony No. 1 in G minor "Winter Daydreams," Op. 13 in 1866 when he was only twenty-six years old. It was among his first large-scale works, and in a way it was somewhat experimental for him. Always the self-doubter, he revised it during the next two years, premiering the completed piece in 1868 and then revising it further in 1874. Although the composer would go on to produce far more dramatic things, in the First Symphony he was at his most lyrical, his most rhapsodic. Perhaps that's why Pletnev, who seems to be becoming more restrained and careful in his approach to music lately, finds himself so secure in the music. The symphony begins with a movement subtitled "Daydreams on a Winter Journey," which the composer didn't really mean as programmatic so much as evocative. He marked it Allegro tranquillo, and most of it is peacefully lyrical, with Pletnev making the most of it by taking his time in an easygoing, highly poetic manner. We can almost feel the snowflakes swirling around us as we imagine a musical traveler moving through the snowy countryside in an open carriage. Or some such picturesque image. The second, slow movement, marked Adagio cantabile ma non tanto ("Leisurely, songlike, a little fast but not too much") Tchaikovsky subtitled "Land of Desolation, Land of Mists," and you can guess what sort of imagery that conjures up. Tchaikovsky wrote a lovely, plaintive melody for oboe that Pletnev draws out deliciously. The composer abandons subtitles for the final two movements, a Scherzo and Finale. Pletnev elicits the best from the Scherzo, making it appropriately playful and doing a good job with the waltz tune at its core, one of the first of many such waltzes that would become a hallmark of Tchaikovsky's music. The Finale, which under Pletnev is perhaps a shade too relaxed, features variations on an old Russian folk song, making it the most "Russian" sounding part of the composition. Tchaikovsky always liked his First Symphony, something he could not bring himself to say about too much of his other work. The performance is also Pletnev's best work in his PentaTone Tchaikovsky cycle thus far. The album concludes with the Slavonic March, Op. 31 from 1876, a patriotic and triumphant affair that predates the composer's 1812 Overture by several years but bears remarkable resemblances. Here in the Slavonic March Pletnev finally lets the brakes off and goes full throttle. It's among the best, most exciting interpretations of the work you're likely to hear. Polyhymnia International recorded the performances at DZZ Studio 5, Moscow, in 2011. The sound they obtain is smooth and warm yet remarkably lifelike, captured in both two-channel stereo and multichannel surround on a hybrid SACD. As I heard it played back through a Sony SACD unit, it appears to have less of the ambient veiling I've heard on previous recordings from this source. Although the sound stage is not especially wide and the midrange not particularly transparent, the sonics do display a good orchestral depth, a strong bass, and a solid dynamic impact, so, overall, we get a pleasingly realistic aural presentation. For whatever reason, I enjoyed the sound best in the Marche Slave, perhaps because the music itself is so vigorous. Also, Bold Island Suite; Symphony No. 2 "Romantic." Erich Kunzel, Cincinnati Pops Orchestra. Telarc CD-80649. American composer, conductor, and teacher Howard Hanson (1896-1981) extracted the Merry Mount Suite from his 1933 opera, and it's anything but merry. The drama depicts some rather brutal encounters between early New England Puritans and newly arrived Cavaliers, the core of the conflict centering on the preacher's illicit lust for a woman. If it sounds a little like Nathaniel Hawthorne's The Scarlet Letter, you'd be right. Hawthorne wrote the original short story, "The Maypole of Merry Mount." In the tale you'll find names like Wrestling Bradford, Marigold Sandys, and Sir Gower Lackland, which in itself makes it hard to take seriously. Anyway, the suite is much less dour than the opera, its four movements concertrating on the lighter, more ardent aspects of the story, at least as conductor Erich Kunzel and his Cincinnati Pops Orchestra interpret it. The Bold Island Suite from 1961 gets its world première recording here; it's a series of three tone pictures portraying birds, the seascape, and nature on Bold Island, just off the Maine coast. The concluding composition, the Second Symphony, may be familiar to some listeners as background music in the movie Alien, and it is quite atmospheric. 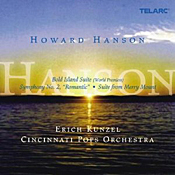 Kunzel and the Cincinnati players do their usual professional job interpreting all three pieces, and the album makes a strong introduction to the composer's work. Telarc's sound from 2005 seems more refined than previous releases. I compared their Hanson offering to an earlier Telarc-Kunzel recording and found the older one brighter and more closely miked. I also noticed that the Telarc engineers used an entirely different chain of recording equipment here than in earlier days--microphones, consoles, preamps, monitors, interconnect cables--and that the company used Direct Stream Digital for their encoding, all of which may have helped account for the differences I heard. I'm not sure which sound I liked best, though. The new sonics retain all of the old Telarc trademarks of bass and dynamics while rendering the sound stage quite naturally, but the old sonics seemed more outgoing and robust. In any case, the new recording seems to fit the mood of the music pretty well, so I'm not complaining. One might keep in mind, however, that Hanson himself recorded many of his own works for Mercury, including the Second Symphony, and they still sound terrific remastered on CD. Music of Schubert, Glass, Feldman, and Satie. Erik Jacobsen, The Knights. Ancalagon ANC 137. If you can't quite place who The Knights are, you may remember them from their award-winning 2010 album of Mozart violin concertos with Scott and Lara St. John (http://classicalcandor.blogspot.com/2010/08/mozart-sinfonia-concertante-sacd-review.html). They are a small chamber ensemble of about three dozen players, led by co-Artistic Directors Colin and Eric Jacobsen and conducted by Eric Jacobsen. They're a lively group of musicians, and on the present album they offer a unique point of view. 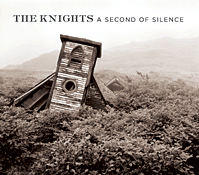 A Second of Silence is a theme album from The Knights. The idea is to present music that evokes to some degree the "kind of hovering" mentioned by composer Morton Feldman (1926-1987) above, the kind of tranquility offered not just by the notes of the music but by the silences, the quiet moments, between the notes and at the end of a piece. And The Knights juxtapose their choices of material from the nineteenth and twentieth centuries just to prove their point. They begin with Gymnopedie No. 1 by Erik Satie (1866-1937), a French Impressionist ahead of his time whose music predated minimalism and other such movements. In his Gymnopedies he created quiet little works that demonstrate the album's point. The booklet note suggests they are examples of tranquillity drifting toward stillness. Fair enough, and The Knights perform them accordingly. Next is Company, a four-movement work by American composer Philip Glass (b. 1937) originally written for string quartet and here arranged for chamber orchestra. The point is to compare and contrast Glass's twentieth-century minimalism with the earlier nineteenth-century Classical-Romanticism of Austrian composer Franz Schubert (1797-1828) in several pieces that follow it: Gretchen am Spinnrade, Symphonies Nos. 3 and 8, and Des Baches Wiegenlied ("The Brook's Lullaby"). There are some striking similarities. But the real question is whether any of this familiar music is any better executed by Erik Jacobsen and The Knights than on many other recordings of it. The answer rests on the high quality of the performances, which are flexible, precise, virtuosic, and refined, Jacobsen leading the group with a deft hand. So, yes, The Knights perform the music quite well, the orchestral sounds floating lightly around us, with the sudden bursts of enthusiasm the composers intended made the more startling and expressive for the clarity and accuracy of the ensemble's playing. The Knights emphasize not only the music's brief silences but the dynamics and phrasing in them as well. To my ears, The Knights sound most closely like the Orpheus Chamber Orchestra, and that's about the highest compliment I can offer them. The performance of Schubert's "Unfinished" Symphony, for instance, is as ethereal as I've ever heard it and No. 3 as sprightly, energetic, and furiously lilting as you'll find, so beyond any significance the group is trying to impress upon us in the album, their renditions of the music are among the best available. Interrupting the two Schubert symphonies is Satie's Gymnopedie No. 2, another magical little pause unto itself. And following that is a further tiny piece, this one by Morton Feldman called Madam Press Died Last Night at Ninety. It's in the same minimalist-modern vein as the earlier Glass piece, if quieter. There is no doubt Jacobsen and The Knights perform all of the music on the disc in high fashion, and whether you appreciate the disc's thematic ideas or not, the interpretations and playing are first rate and probably warrant a listen. Engineer Jeremy Tusz of Diapason recorded, edited, and mixed the disc for Ancalagon at the Samuel J. and Ethel LeFrak Concert Hall, Aaron Copland School of Music, Queens College, Flushing, New York from June 23-25, 2010. Made in both two-channel stereo (to which I listened on a Sony SACD player) and multichannel surround and presented on a hybrid, dual-format SACD, the sound is clear and dynamic yet warm and smooth, too. The sonics are wonderfully immersive, with great washes of sound caressing the ear in a most-welcome and realistic manner. Even without rear speakers, one can feel a splendidly ambient surround effect. The overall aural picture is a tad soft, while having excellent transient response and tautness, making for a most natural and enjoyable listening experience. One minor criticism, though: Because The Knights are not (yet) a household name and because the album title goes nowhere in telling potential buyers what it's all about, I suspect the producers may have shortchanged themselves. I mean, Is this Simon and Garfunkel's "Sounds of Silence" here? Who would know that it contains primarily Schubert and others or that The Knights are a chamber ensemble? And the bizarrely surreal cover picture doesn't help. But what do I know? It'll probably sell a million copies. Music of Bach, Handel, Couperin, and Weiss. David Russell, guitar. Telarc TEL-33223-02. 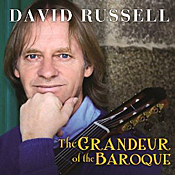 Most people like the music of classical guitar, and there are few practitioners of the art better at it than Scottish classical guitarist David Russell. Maybe it's just longevity. He's been plucking the instrument since his childhood in the 1950's, winning major music awards and the hearts of millions of admirers all over the world. He has been recording since the 1970's, and he's been with Telarc since the mid 90's, this new album, The Grandeur of the Baroque, marking his seventeenth release for the company. Remarkable. After his having covered the music of most eras, Russell returns to the music of the Baroque period, something he's done on several previous occasions for Telarc. This time, he covers five selections by Bach, six by Handel, four by Couperin, and six more from the less familiar S.L. Weiss, all of them in guitar transcriptions that work better than you might expect. Familiar music or unfamiliar, Russell handles all of it with consummate skill. The program begins with the Toccata from Partita No. VI in E minor by Johann Sebastian Bach (1685-1750). It's a good curtain-raiser because while it is not extravagantly outgoing, it does afford Russell a chance to demonstrate his dazzling dexterity and prove his virtuosity without tearing the house down. The three Bach Sinfonias (Three-Part Inventions), Nos. 2,11, and 5, prove good counterpoints with their relatively serene, meditative moods. Next comes the Suite No. 7 in G minor by George Frideric Handel (1685-1759). It puts us into a more directly Baroque world, with Russell taking his time with the music and letting it breathe naturally in a perfectly relaxed yet regal manner. The Sarabande is especially appealing, although for that matter Russell plays the entire suite so well, so brilliantly and elegantly, it's hard to pick a favorite selection. Nevertheless, La Pantomime also stands out. After the Handel, Russell gives us the Twenty-Sixth Suite from Book IV of Pieces de Clavecin by Francois Couperin (1668-1733). These pieces seem more thoughtful, calculated, and contemplative than particularly innovative or memorable. Still, that assessment may simply reflect my own personal biases in favor of German, English, and Italian Baroque music over French. The program closes with the Suite in D major by Silvius Leopold Weiss (1686-1750), an important composer of lute music in his time. In Russell's hands, the suite begins in a dignified and stately manner and then moves through a series of brief segments of varying temperaments. It's a pleasant and surprisingly catchy way to end the album. Indeed, some of the music sounds positively modern, and all of it sounds delightful. Telarc recorded the album at Clonick Hall, Oberlin Conservatory of Music, Oberlin, Ohio, and released it in 2012. The sound they obtained matches Russell's performances in clarity, richness, and resonance. While it's only one instrument, it sounds like a whole ensemble on occasion, the acoustic setting and slightly close miking producing splendid results. Acclaimed pianist and Music Institute of Chicago faculty member Meng-Chieh Liu performs a concert program March 18 at Nichols Concert Hall, 1490 Chicago Avenue, Evanston, IL. Liu's program includes Robert Schumann's Waldszenen Op. 82; Isaac Albéniz's Iberia Book III; a selection of Nocturnes by Fauré, Chopin, and Liebermann; and Paul Pabst's Paraphrase on Themes from Tchaikovsky's Eugene Onegin. Meng-Chieh Liu has received the 2002 Avery Fisher Career Grant, the 2002 Philadelphia Musical Fund Society Career Advancement Award, and first prizes in the Stravinsky, Asia Pacific Piano, and Mieczyslaw Munz competitions. In addition to the Music Institute, he is on faculty at The Curtis Institute of Music and Roosevelt University. 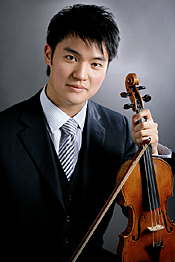 Meng-Chieh Liu performs Sunday, March 18 at 3 p.m. at Nichols Concert Hall, 1490 Chicago Avenue, Evanston. Tickets are $25 for adults, $15 for seniors and $10 for students, available online or 847.905.1500 ext. 108. Eric Owens's work as Alberich in the Metropolitan Opera production of Das Rheingold last season was met with universal acclaim: The Philadelphia Inquirer lauded, "Owens alone is worth the ticket"; the New York Times noted his voice was filled with "stentorian vigor"; Manuela Hoelterhoff of Bloomberg cheered, "Eric Owens, now one of the greatest bass-baritones in the world, was sublime as crazy Alberich"; and Alex Ross of The New Yorker proclaimed, "Owens's portrayal is so richly layered that it may become part of the history of the work." It was not without excitement, then, that audiences anticipated Owens's appearance in the next chapter of The Met's first full cycle. The bass-baritone also continues a busy recital tour of his own this season, and appears in concert with the Cleveland Orchestra and the Boston and Atlanta symphony orchestras. The Metropolitan Opera's production of Götterdämmerung opened on January 27, 2012, and will be performed on February 3, 7, and 11. Fans worldwide can witness the conclusion of the Ring Cycle via The Met: Live HD broadcast series. The performance will screened in movie theaters around the globe--1600 movie theaters in 54 countries--on February 11, 2012, 12 pm ET. The first complete cycles will take place in spring 2012. Owens will sing the role of Alberich in two complete cycles: Das Rheingold on April 7 and 26; Siegfried on April 21 and 30; and Götterdämmerung on April 24 and May 3. Owens has begun his first-ever recital tour with pianists Robert Spano and Craig Rutenberg. With engagements in Washington, D.C., Berkeley, Portland and Philadelphia, Owens will notably perform February 21 at Carnegie Hall's Zankel Hall. 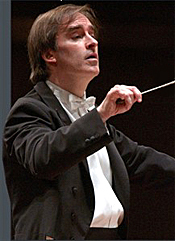 Owens sings Beethoven's Missa solemnis with the Boston Symphony Orchestra in Boston and at Carnegie Hall: one of three appearances at the New York cultural institution in 2011-2012. Appearing as Jochanaan in Strauss' Salome with the Cleveland Orchestra, Owens assumes the role in both Cleveland and at Carnegie Hall in May. Summer 2012 begins with Owens reprising the role of The Storyteller in A Flowering Tree by John Adams with the Atlanta Symphony Orchestra. Owens will continue his summer at Glimmerglass Festival 2012 as the Artist-in-Residence. There, he will appear in Aida and Lost in the Stars, and will perform a cabaret evening. Acclaimed for his commanding stage presence and inventive artistry, Eric Owens has carved a unique place in the opera world as both a champion of new music and a powerful interpreter of classic works. 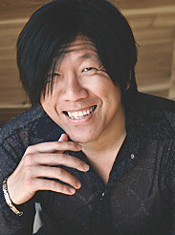 Called "consistently charismatic, theatrically and vocally" by New York Magazine and "absolutely remarkable" by the Philadelphia Inquirer, Owens is equally at home in concert, recital and opera performances, bringing his powerful poise, expansive voice and instinctive acting faculties to stages around the globe. 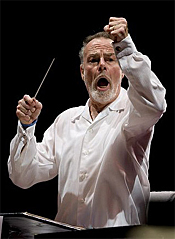 Owens received great critical acclaim for portraying the title role in the world premiere of Elliot Goldenthal's Grendel with the Los Angeles Opera, and again at the Lincoln Center Festival, in a production directed and designed by Julie Taymor. 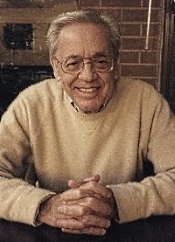 Owens also enjoys a close association with John Adams, and was featured on the September 2008 Nonesuch Records release of Adams's A Flowering Tree. He also originated the role of Leslie Groves in Adams's Doctor Atomic. Presented by the USC Thornton School of Music and the LA Phil, in partnership with The Colburn School and the Los Angeles Chamber Orchestra (LACO), the inaugural Piatigorsky International Cello Festival, taking place March 9-18, 2012, will feature two American premieres and two West Coast premieres during the course of this outstanding 10-day event honoring the legacy of cellist Gregor Piatigorsky. The opening concert features the American premiere of Thomas Demenga's Double Concerto, Relations for two cellos, percussion and prepared piano, performed by the composer and his student Sayaka Selina with the Festival Orchestra, conducted by Hugh Wolff and made up of members of the Los Angeles Chamber Orchestra and young artists from the USC Thornton School of Music and The Colburn School. In addition, the Festival's March 14th master recital will present the American premiere of Miklós Perényi's Introduzione e Scherzo, continuing the tradition of great cellist/composers exemplified by Piatigorsky, and the March 16th recital with Thornton cellists will include the West Coast premiere of Brett Dean's Twelve Angry Men. Other Festival highlights include the unique opportunity to hear the six solo suites of Bach performed together by six different cellists, and an evening of film and discussion celebrating the life and career of Gregor Piatigorsky enlivened by a panel that includes his grandson, Evan Drachman, and six of Piatigorsky's esteemed former students. Master Recital programs highlight an exciting diversity of works ranging from contemporary compositions to seldom performed masterpieces. Three of the Festival's concluding concerts, an LA Phil subscription series conducted by Neeme Järvi, showcase renowned soloists Ralph Kirshbaum, Mischa Maisky and Alisa Weilerstein performing Dvorák, Shostakovich and Tchaikovsky. The Festival's finale features over 100 cellists on the stage of Walt Disney Concert Hall for the West Coast premiere of Rapturedux by Christopher Rouse as well as a performance of Bach's Air on a G String. As the Festival aims to honor one of the last century's greatest champions of the cello, the American Classical Music Hall of Fame has announced the induction of Gregor Piatigorsky to its class of 2011 in the "Performer" category. Honoring Piatigorsky as an outstanding performer, pedagogue and advocator of classical music, this acknowledgment expresses the very sentiment of the Piatigorsky International Cello Festival. Piatigorsky brought his expertise to the world's most renowned stages, latterly accepting a teaching position at the University of Southern California after settling in Los Angeles, where he remained until his death. In recognition of his long and vibrant career, Gregor Piatigorsky receives this award posthumously and in the most serendipitous of circumstances as the inaugural Piatigorsky International Cello Festival reaches out to broaden the scope of the cello. The world's most recognized and accomplished cellists will converge on Los Angeles to collaborate, perform and educate through a series of master classes, concerts and talks. 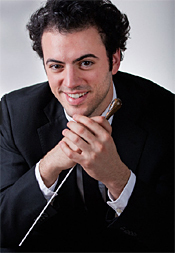 2011 Tchaikovsky Competition-winner Narek Hakhnazaryan will perform the Saint-Saëns Concerto No. 1 in the Festival's opening concert, and Shostakovich's Sonata in D minor and Tchaikovsky's Pezzo Capriccioso in the Festival's March 10th Prelude Series in collaboration with pianist Rina Dokshitsky, who is on faculty at The Colburn School. International stars such as Mischa Maisky (the only student to have studied with Rostropovich and Piatigorsky), Steven Isserlis, Jean-Guihen Queyras, Jian Wang, Frans Helmerson and Antonio Lysy also take the helm of numerous events to perform and offer each artist's unique instruction and approach to musicianship to the 45 master class students who come to the Festival from some of the finest conservatories and music schools in the world. Bringing together four prestigious Los Angeles musical organizations, the Piatigorsky International Cello Festival aims to highlight and bring awareness to the cello against the backdrop of one of the most culturally vibrant metropolitan areas in the United States. Thomas Demenga , Evan Drachman, Narek Hakhnazaryan, Frans Helmerson, Gary Hoffman, Steven Isserlis, Terry King, Ralph Kirshbaum, Ronald Leonard, Laurence Lesser, Antonio Lysy, Mischa Maisky, Miklós Perényi, Jean-Guihen Queyras, Nathaniel Rosen, Sayaka Selina, Andrew Shulman, Jeffrey Solow, Peter Stumpf, Raphael Wallfisch, Jian Wang, Alisa Weilerstein, Members of the L.A. Cello Society (Victor Sazer, president). Highland Park student musician Jonas Tarm, who studies with the Music Institute of Chicago's prestigious Academy for gifted pre-college musicians, has won first place in a distinguished, 50-state classical music composition competition, the 24,000-member Music Teachers National Association (MTNA) announced this week. Tarm, an 18-year-old senior at Highland Park High School, travels next month to New York City, where his winning entry, a Latin-tinged chamber work called "Las Ruinas Circulares," will be performed at MTNA's annual convention. For winning MTNA's senior-division composition contest, Tarm receives $2,000. Composers Jeff Smith in New York, Wynn-Anne Rossi in Minnesota and former Chicago Symphony Orchestra Mead Composer-in-Residence Augusta Read Thomas served as judges. Tarm's piece for violin, piano, cello and flute is a musical interpretation of Argentinean writer Jorge Luis Borges' story "The Circular Ruins," about a man who sets out to dream another human being into existence—only to realize that he himself is a figment of someone's dream. Also this year, the Estonian-born Tarm, who has lived in the Chicago area since he was 10, won the Music Institute's Generation Next Young Composer's Competition and the Illinois Music Educators Association's composition competition. His compositions and violin playing have also been featured on classical music station WMFT's program Introductions. Tarm's winning piece can be heard on WFMT's Web site. Approximately 50 young musicians participate in all aspects of the curriculum, including private lessons with Academy artist faculty, a rigorous chamber music component, a stimulating chamber orchestra, and accelerated music theory classes. Pianists additionally study keyboard literature and skills in an intimate group setting. A hallmark of the Academy is the weekly master classes with some of the world's most celebrated artists and educators. The Academy introduces students to a vast music community of peer musicians, pedagogical styles, and the rigors of conservatory training. The nation's most elite college and university music conservatories, including The Juilliard School, the Curtis Institute of Music, the Eastman School of Music, and the New England Conservatory, actively pursue graduates of the four-year program. Music Director Nicholas McGegan and Philharmonia Baroque welcome the return of English cellist Steven Isserlis in four Bay Area concerts March 9 through 13. The concerts showcase repertoire from the 19th century featuring Schuman's Cello Concerto in A Minor in addition to works by Brahms and Mendelssohn. The San Francisco Examiner praised Isserlis' September 2009 performance of Haydn's Cello Concerto in C Major with Philharmonia Baroque, exclaiming "the most remarkable feature of Isserlis's performance must have been his tone. It is the warmest cello sound I have ever heard. Isserlis seduces his audience from the very first note, vibrating sparingly so as not to obscure the simple beauty of his sound." Acclaimed for his technique and musicianship, Isserlis is known throughout the world as a soloist, chamber musician and educator. The program opens with Felix Mendelssohn's The Fair Melusine, an ode composed in 1833 about a mythical maiden who was condemned to live one day each week as a mermaid in the Rhine. Robert Schumann composed his cello concerto in 1850, but there were no public performances during his lifetime – it was first performed at a posthumous celebration of his 50th birthday in 1860. Johannes Brahms was the famous protégée of Robert and Clara Schumann. His Serenade No. 2, composed in 1859, interestingly features an orchestra without violins so it is essentially a wind serenade with accompanying strings. Philharmonia Baroque Orchestra performed Brahms' Serenade No. 1 in February 2010 with the San Francisco Chronicle praising the "verve and robustness" of this "splendid performance," adding that "McGegan [gave] a fiercely engaged performance. Avoiding the sleek, sometimes impersonal quality that can often seep into modern renditions, he embraced every opportunity to give the music a musky physicality…"
Isserlis' 2009 performance of Haydn's Cello Concerto in C Major can be heard on KDFC-FM on Sunday, March 11 at 8 PM during the monthly program "Philharmonia Baroque Orchestra Live in Concert." KDFC is the radio home of Philharmonia Baroque Orchestra. Tickets are priced at $25 to $95 and are available through City Box Office at (415) 392-4400 or online at www.cityboxoffice.com. If available, Student Rush tickets are $10 and go on sale one hour before the start of the concerts. To learn more about Philharmonia Baroque's concerts, visit the Orchestra's Web site at www.philharmonia.org or call (415) 252-1288. Otto Klemperer, Philharmonia Orchestra. HDTT HDCD247. 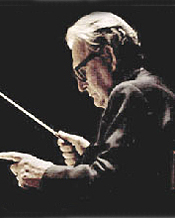 German conductor Otto Klemperer was one of those musical interpreters you either loved or hated. Fortunately, more people loved him than not, and he left us a rich legacy of recordings that spanned a seven-decade career. His most lasting impression, though, probably came from his EMI stereo releases with the Philharmonia and New Philharmonia Orchestras, which he led from 1959 until just a few years before his death in 1973. 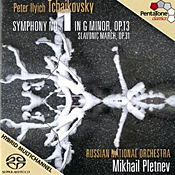 The performance reviewed here, the Tchaikovsky Sixth Symphony "Pathetique," he made for EMI in 1961 and HDTT (High Definition Tape Transfers) remastered and reissued in 2011. It is not one of Klemperer's greatest recordings, but it does provide a typically personal response to the score and a very well-recorded sound. Anyway, people have responded to Klemperer differently over the years because he never produced a musical rendering that was quite like everyone else's. He believed in giving attention to every detail of a composition, and as he grew older this seemed to mean lingering a bit longer in every movement. As his tempos began to slow down over the years, his audiences began to see his readings either as more monumentally satisfying or more monumentally boring than ever before. His reading of the Sixth offers a little something to make a case for both responses. Peter Tchaikovsky (1840-1893) wrote his Symphony No. 6 in B minor, Op. 74, in 1893, premiering it just over a week before his death. It would be nice to think that the composer went out in style, but it wasn't to be. Although today we think of the Sixth Symphony as a staple of the basic repertoire, it did not go over well at first. Audiences misunderstood it. It wasn't until well after the composer's death that people took another look at the work and saw its importance; they even saw in it a possible foreshadowing of the composer's death. 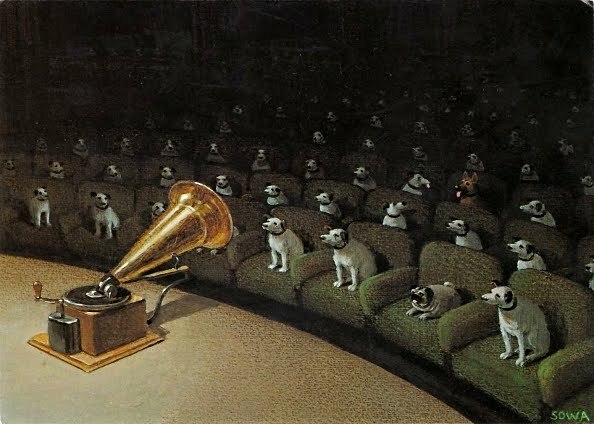 Since its publication, people have used the symphony's more-celebrated themes in motion pictures, cartoons, and popular songs. It's not hard to understand why Tchaikovsky's intensions might have bewildered listeners in his day. The lengthy opening movement unexpectedly starts with a quiet Adagio rather than anything big or attention-getting, and it never divulges its main themes until well into the music. Then it gives us a second-movement waltz that isn't quite a waltz but does a wonderful job playing with waltz-like clues. Following that is a Scherzo in the form of a march, possibly a funeral march, that erupts out of nowhere in a tone wholly unanticipated, building to a frenzied climax. In closing, the finale brings us back to Earth, prompting us to recall the symphony's title, "Pathetique" (whether Tchaikovsky liked the title or not), which the composer intended simply to mean "fervent" or "impassioned," not necessarily "pathetic" or "pitiful." Nevertheless, the symphony's final deep notes fade off softly into a gloomy silence. Although the composer rejected the original subtitle of "Program Symphony," that hasn't stopped listeners from assigning the work any number of meanings, most of them involving death or fate or some such thing. So, that's what Tchaikovsky apparently intended; now, what does Klemperer give us? I had never heard the recording before and wasn't sure exactly what to expect. Klemperer's strong suit was German and Austrian classical and romantic repertoire, after all: Beethoven, Brahms, Haydn, Mozart, Mendelssohn, Schubert, Schuman, Wagner, that sort of thing; certainly, I thought, not Russian. What I heard, however, was a pleasant surprise and anything but run-of-the-mill. Klemperer's performances were never commonplace. If they were, he'd be just another conductor. Nevertheless, whether that means you'll like what you hear is another question. Here's the thing: Except in the third-movement Allegro, Klemperer is really no slower overall than most anyone else. Yet his reading is, indeed, different. The first movement opens beautifully, building to the famous love theme flawlessly, which the conductor never sentimentalizes or glorifies but presents in a straightforward manner letting its emotion speak for itself. Klemperer follows it up with all the drama necessary in the movement's second half, the passion seldom flagging no matter the tempo. The second-movement waltz flows effortlessly despite the halting gait required. Under Klemperer it loses perhaps a little something in charm, which it makes up for in conviction. The march that follows is probably the most-controversial feature of Klemperer's interpretation because it is conspicuously slower and more calculated than we usually hear. Still, the conductor justifies this measured approach by maintaining the music's tension commandingly from beginning to end. Although it will not please purists that Klemperer doesn't always follow the composer's tempo markings, one can at least appreciate that Klemperer doesn't fall into the trap of appearing too hectic or frenetic. After that, Klemperer produces a finale as moving as that of any conductor I've heard, maybe for the very reason that, again, he doesn't become frantic in trying to prove anything. While this performance may not be a number-one recommendation in the symphony, it should prove a worthy counterpoint to other, more highly animated versions. 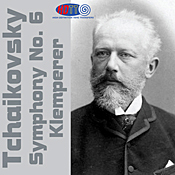 EMI recorded Klemperer's Tchaikovsky Sixth at Kingsway Hall, London, in 1961, and HDTT remastered it from an Angel 4-track tape in 2011. The detail one hears is excellent, with a perfectly natural response. The orchestra sounds big and wide without ever overwhelming the listener; it's close-up without sounding edgy or hard but smooth and clear. Yet, there is a reasonably good stage depth as well. It's a winning combination. The dynamic range and impact are also impressive, at some points startlingly real. A lifelike texture to the sonics further contributes to the feeling of being in front of a genuine orchestra, and with virtually no background hiss or noise, the illusion is complete. Say what you will about the performance, there is no question this is one of the very best-sounding Tchaikovsky Sixths currently available. For more information on HDTT discs and downloads, you can check out their Web site at http://www.highdeftapetransfers.com/storefront.php. 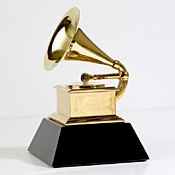 Although I don't put a lot of stock in Oscars, Emmys, GRAMMYs, and such yearly awards, maybe because I'm not convinced they are anything more than popularity contests, it is probably a good idea at least to inform readers of this year's GRAMMY winners in the Classical Music category for albums released in 2011. Also, Two Legends; Two Episodes after Lenau's Faust. James Conlon, Rotterdam Philharmonic Orchestra. Warner Classics Apex 2564 66586-1. Les Preludes was the third in a series of symphonic poems written by Hungarian composer and pianist Franz Liszt (1811-1886), and today it stands as undoubtedly his most popular. How popular? Even for people who don't think they know the piece, they probably know it. In the Thirties Universal Studios used the main theme as background music for the Buster Crabbe Flash Gordon serials, and during World War II the Nazis used it in some of their propaganda films and radio shows. These days it shows up in popular culture with a severe regularity. Liszt himself approved a preface to the music that began "What else is our life but a series of preludes to that unknown Hymn, the first and solemn note of which is intoned by Death?" Unfortunately, the preface didn't really explain the music or its meaning, which has had musical scholars debating the subject to this day. The main thing is that people have always seemed to appreciate the music's forward thrust, its heroic melodies, its memorable motifs, and its dynamic rhythms. And that is what we expect of any musical interpretation anymore--something big and bold and not a little theatrical. Which is where Maestro James Conlon and his Rotterdam Philharmonic are only partially successful in this reissued Erato recording from Warner Classics. The album starts with Les Preludes, with Conlon tending to take his time through the opening Andante section, almost a leisurely stroll, and doesn't entirely build up the necessary tension for the more weighty Allegro passages that follow. Then when the familiar theme commences, it does so without as much fury as we might expect. Here, we could look to two other conductors who essayed the work with different approaches but similar pulse-pounding results: Sir Georg Solti and Bernard Haitink. Solti takes his time just as Conlon does, but he builds up a good deal more excitement by varying his tempos and contrasts more (greatly aided by Decca's robust sonics). Haitink, whom you would anticipate being more careful than the others, actually attacks the score more vigorously than either Conlon or Solti. Still, both Solti and Haitink seem to have a better handle on the bravura aspects of the music than Conlon does and provide a more-exhilarating ride. The rest of the album is essentially filler to the more-popular piece, yet it's splendid filler. Indeed, I enjoyed the two scenes from Faust and the two Legends more than I did the Preludes. The Faust episodes--the "Procession by Night" and the "Dance at the Village Inn" (also known as "The Mephisto Waltz")--display all the energy lacking in the Preludes. The waltz is especially effective and downright spooky on occasion. The two Legends of "St. Francis of Assisi's sermon to the birds" and "St. Francis of Paola walking on water" are understandably less histrionic than the Preludes or Faust music, and Conlon helps them come across with a placid, meditative conviction. 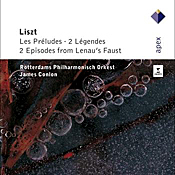 Erato recorded the performances in Rotterdam in 1983 (Faust) and 1985 (Preludes, Legends), and Warner Classics re-released them in 2011. The program begins with the later sound, which is good but not spectacular. It displays a wide dynamic range, a strong transient impact, and a realistic stage depth. The massed violins, too, are lifelike, supplemented by a taut bass response. Although the overall effect is a tad thick, soft, and reverberant, it is also mostly smooth, making the music easily listenable. Interestingly, it's the Faust music, recorded earlier, that offers the better sound, perhaps miked a little closer and appearing a little less muted. Also, Mendelssohn: Violin Concerto. 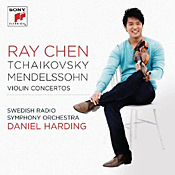 Ray Chen, violin; Daniel Harding, Swedish Radio Symphony Orchestra. Sony Classical 88697984102. Taiwanese-Australian violinist Ray Chen tells us he chose the Tchaikovsky and Mendelssohn concertos on the disc because "Maybe I bring something new and fresh to them." Fair enough. Both of the concertos have played major roles in the young man's career. In 2008 he won the Yehudi Menuhin Competition with the Mendelssohn work, and a year later he won first prize in the Queen Elisabeth Competition in Brussels with the Tchaikovsky piece. When you've got that kind of success going for you, you do what you do best. I suppose the question about any new recording is whether it competes with or surpasses old favorites; and when it comes to warhorses like the Tchaikovsky and Mendelssohn, there are many great recordings out there already from the likes of Perlman (Chesky and EMI), Heifetz (RCA), Chung (Decca), Gluzman (BIS), Repin (Philips), Mutter (DG), Zukerman (Sony), Chee-Yun (Denon), Chang (EMI), Milstein (DG), and a host of others. So, is any newcomer worth the listen? In the case of Ray Chen, sure thing, and just the coupling of two such important concertos should be icing on the cake. Peter Tchaikovsky (1840-1893) wrote his Concerto for Violin and Orchestra in D major, Op. 35 in 1878, premiering it several years later because the person he originally wanted to perform its first public appearance deemed it unplayable. Although one generally hears it in a big, Technicolor production, in Ray Chen's hands it comes off more smoothly and effortlessly than most others, Chen demonstrating a clean tone and a quietly virtuosic style. While his reading is more relaxed than weighty or dramatic, the playing is never lax. In other words, it's a more lyrical approach than we often find. The Swedish Radio Symphony Orchestra under Daniel Harding, on the other hand, is more hell bent for leather than the soloist is. Not that the styles clash, however; if anything, we get two performances for the price of one. Chen plays a 1721 "Macmillan" Stradivarius on loan to him. In an understatement that, given his playing, seems typical of the man's mode of expression, he says of it, "You need good tools." Yes, to say the least. At one point during the central Canzonetta, I could have sworn that Chen's violin was singing, literally producing vocal sounds, and for the briefest split second I wondered if Sony had decided to add voice to the arrangement. This was before I realized it was the "song" of the violin. It was a remarkable moment in a remarkably tranquil reading of a piece that can often come off as bombastic. Felix Mendelssohn (1809-1847) wrote his Concerto for violin and orchestra in E minor, Op. 64 in 1844, and if you still aren't sure of Chen's talents, it's in the Mendelssohn that his gifts really shine. His penchant for creating serene moods is on full display in the opening movement, with Mendelssohn's music practically dancing off the bow. Not that Chen doesn't whip up an exciting head of steam, too, but it's in those magical Mendelssohnian interludes that he proves his worth. The Andante is meltingly beautiful, the finale as sprightly as pixie dust in the breeze. Recorded in the Berwaldhallen, Stockholm, Sweden, in April of 2011, the sound is warm yet nicely delineated, if without ultimate transparency. There is a very wide dynamic range involved and a good balance between the soloist and the orchestra as well as within the frequency spectrum of the orchestra itself, with no parts of the reproduction dominating the others. The miking is not too close, not too distant, yet close enough to obtain good, refined detail and strong impact. While the orchestral depth is only average, the overall sonics are spacious and resonant. No complaints here. Violinist Nurit Bar-Joseph will perform Bach's Brandenburg Concertos No. 2, 3 and 4 with the National Philharmonic, under the direction of Music Director and Conductor Piotr Gajewski, on Saturday, February 25, 2012 at 8 pm at the Music Center at Strathmore. The concert will also feature Bach's Magnificat in D Major with soprano Julie Keim, mezzo-soprano Magdalena Wór, tenor Robert Breault, baritone Christòpheren Nomura and the National Philharmonic Chorale. In addition, at the helm of the orchestra will be the Philharmonic's concertmaster emeritus Jody Gatwood, who recently retired after twenty-five years with the orchestra. Few musical works are as beloved and as often performed as the six Brandenburg Concertos of J. S. Bach, which display a light side of Bach's extraordinary genius. Each of the six celebrated concertos highlights a different instrumental combination. The appealing and popular Brandenburg Concerto No. 2 features four soloists: flute, violin, oboe and trumpet, with strings and basso continuo. In the Brandenburg Concerto No. 4, Bach's unusual combination of a violin and a pair of flutes offers a range of effects from brilliant virtuosity to compelling sweetness. In 1723, Bach composed his towering masterpiece, the joyous and dramatic Magnificat, for soloists, chorus and orchestra. First performed on Christmas, the celebratory work conveys Mary's great joy and profound humility in response to the news that she had been chosen to give birth to the Messiah. 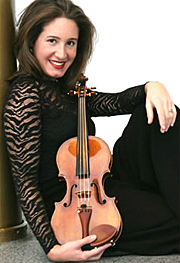 Violinist Nurit Bar-Josef, who made her solo debut with the National Symphony Orchestra in February 2001, joined the NSO as concertmaster in September 2001. She previously spent three years as assistant concertmaster of the Boston Symphony Orchestra and the Boston Pops and one year as assistant principal second violin with the Saint Louis Symphony. Ms. Bar-Josef received her bachelor's degree from the Curtis Institute, studying with Aaron Rosand, and was the recipient of the Fritz Kreisler Award for Violin upon graduation. She continued her studies at the Juilliard School with Robert Mann. Ms. Bar-Josef won first prize in several competitions, including the Boston Symphony Concerto Competition and Juilliard's Concerto Competition. In 1997, she made her New York debut with the Juilliard Orchestra in Avery Fisher Hall. Other solo appearances include performances with the orchestras of Boston, Saint Louis, Boston Pops, Wellesley, International Symphony Orchestra (Israel), and Corpus Christi. A participant in the Taos and Tanglewood Music Center Festivals, Ms. Bar-Josef was concertmaster of the Music Center Orchestra under Seiji Ozawa, winning the most outstanding performer award. An active chamber musician, she has performed piano quartets with André Previn at his Rising Stars Festival at Caramoor, and diverse repertoire at Tanglewood Music Center, and the festivals of Taos, Garth Newel (Virginia), Portland (Maine), Steamboat Springs (Colorado) and in Philadelphia, New York City, Israel, and Boston. As a chamber musician, Ms. Bar-Josef is a member of both the Walden Chamber Players and the Dryden Quartet, and is also a member of the new Kennedy Center Chamber Players ensemble. A free pre-concert lecture will be offered at 6:45 pm on Saturday, Feb. 25 in the Concert Hall at the Music Center at Strathmore. To purchase tickets to the All Bach concerts, please visit www.nationalphilharmonic.org or call the Strathmore box office at (301) 581-5100. Tickets are $28-$81; kids 7-17 are FREE through the ALL KIDS, ALL FREE, ALL THE TIME program (sponsored by The Gazette). ALL KIDS tickets must be purchased in person or by phone. Photo of violinist Nurit Bar-Josef was taken by Rosalie O'Connor. Music Director Ludovic Morlot announced the appointment of Alexander Velinzon as the Seattle Symphony's David & Amy Fulton Concertmaster. Velinzon currently serves as Assistant Concertmaster of the Boston Symphony Orchestra, a position he has held since 2005. 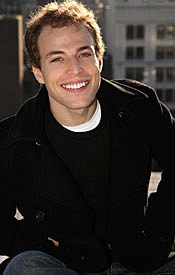 He will begin his new role in Seattle in June 2012. Velinzon succeeds Maria Larionoff, who stepped down from the Seattle Symphony concertmaster role at the end of the 2010-2011 season. "It is with immense pleasure that I welcome Alex as the new Concertmaster of the Seattle Symphony," exclaimed Morlot. "I could not have dreamed of a better match for our orchestra. He will play such a vital role in bringing the Seattle Symphony to new and thrilling artistic heights as this magnificent Orchestra continues to develop a distinctive sound and identity. I have had the privilege of working with Alex at the Boston Symphony Orchestra, and I extend a warm Seattle welcome to him and his family. I cannot wait to share many musical emotions with him on stage at Benaroya Hall. I am deeply grateful and wish to thank our Associate Concertmaster Emma McGrath, other members of the Orchestra and guest musicians for stepping in as concertmasters during my first season." A violinist with an international reputation, Velinzon has performed with such conductors as James Levine, Kurt Masur, Sir Colin Davis and Michael Tilson Thomas. As a guest concertmaster in Europe and Asia, he has appeared with the London Philharmonic, Rotterdam Philharmonic, Seoul Philharmonic, Germany's WDR Symphony Orchestra and NDR Radio Philharmonic, and has collaborated with Semyon Bychkov, Myung-Whun Chung, and Vladimir Jurowski, among other conductors. In the sphere of chamber music, violinists Gil Shaham and Hilary Hahn, as well as cellist Wendy Warner, have numbered among Velinzon's partners. In Boston he is a long-standing member of the Walden Chamber Players, a co-founder of the LiveArts string quartet and has appeared with the Boston Symphony Chamber Players. In New York, he performs frequently with the Jupiter Chamber Players. In 2010, Velinzon made his critically acclaimed debut at London's Wigmore Hall with the Soloists of the London Philharmonic Orchestra. Born in St. Petersburg, Russia, Alexander Velinzon began violin lessons at the age of six and went on to graduate from the Leningrad School for Gifted Children. After moving to the U.S. in 1990, he studied with renowned pedagogue Dorothy DeLay at The Juilliard School, where he earned his bachelor's and master's degrees. His success at the Heida Hermanns Competition in Connecticut, and at the Artist International Young Artists Auditions at the Tibor Varga Competition in Switzerland, led to his New York recital debut at Carnegie Hall's Weill Recital Hall. That occasion prompted Strad magazine to praise him as a "very musical and intensely serious" player. Velinzon's New York concerto debut came in 1999, when he performed Paganini's Concerto No. 1 in D major with the Jupiter Symphony. He played at New York City Center as both soloist and concertmaster for the Paul Taylor Dance Company, and has performed concertos with the Absolute Ensemble and Metamorphoses Orchestra in New York, the Chappaqua Symphony, the Rondo Chamber Orchestra (in both the United States and Venezuela), and in the Dominican Republic with the National Symphony of Santo Domingo. Clarinet Concertos Nos. 1 and 2; Concertino for Clarinet and Orchestra; Concertino for Horn and Orchestra. 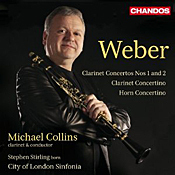 Michael Collins, clarinet and conductor; Stephen Stirling, horn; City of London Sinfonia. Chandos CHAN 10702. 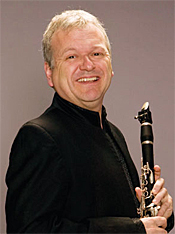 Although the big draws here are the two clarinet concertos, British clarinetist Michael Collins begins the program with the little Concertino for Clarinet and Orchestra, Op. 26, J 109, which German pianist, conductor, and composer Carl Maria von Weber (1786-1826) wrote in 1811. It's a brief but varied piece of music, starting out rather darkly and then opening up to an agreeably light and lyrical set of melodies. Collins has a good time with its differing moods and gets a chance to demonstrate his virtuosity early on. The piece makes a nice curtain raiser. Next, we get Weber's Concerto No. 1 for Clarinet and Orchestra, Op. 73, J 114, also from 1811. Of the two clarinet concertos Weber wrote that year, this one is the more dramatic (or melodramatic, depending on your point of view). Collins in a booklet note calls it "operatic." Whatever the case, it is decidedly heavy, at least until the clarinet enters and lifts one's spirits. Collins provides a sparkling touch, his clarinet sounding both rich and refined, the City of London Sinfonia lending a splendidly intimate, small-scale support. The second-movement Adagio is especially lovely, and the finale bubbles over with a zippy enthusiasm. After that, we get a change-up: the Concertino for Horn and Orchestra, Op. 45, J 188, with Stephen Stirling, horn. Weber was only nineteen when he wrote it, a remarkable accomplishment, even if he did revise it extensively about nine years later. Stirling offers meltingly mellifluent sounds and an equally honeyed interpretation through the four-movement piece. The program ends with what is surely one of Weber's most-popular works, the Concerto No. 2 for Clarinet and Orchestra, Op. 74, J 118. Like most of the world, I love this music, so it's hard for any clarinetist to go wrong. Collins doesn't disappoint. In fact, he is quite dazzling from the moment he enters. A tone of mystery and grief pervades the second-movement Andante, to which Collins adds a note of melancholy. Then the whole show closes in a sparkling display of pyrotechnic fireworks from Weber, Collins, and the orchestra. It's all scintillating and delightful, and while I may have other favorite recordings of both concertos, this new one from Collins and company must stand serious consideration. Chandos recorded the album at St. Jude-on-the-Hill, Hampstead Garden Suburb, London, in April of 2011. They obtained a big, well-integrated sound, the clarinet never too close or too distant, with the orchestra realistically spread out behind. The sonics are smooth and slightly warm, making for easy, comfortable listening, if not always allowing for ultimate transparency or dynamic contrasts. There is good stage depth, too, and a pleasantly resonant air further contributing to the illusion of hearing the music in a mildly reverberant concert hall. 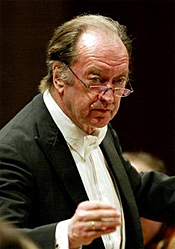 Nikolaus Harnoncourt, Concentus Musicus Wien. Deutsche Harmonia Mundi 82876 58705 2. Although this disc came out a few years ago, 2004 actually, I thought since I had recently reviewed several newer Mozart Requiem recordings, I'd throw this one in, too. 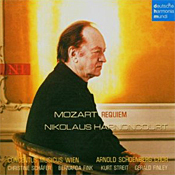 Nikolaus Harnoncourt, a pioneer in the early-music movement, is obviously an old hand at reinterpreting classical music from a so-called authentic point of view, most often on period instruments, so it comes as no surprise that he would return to Mozart's Requiem once more, this time with his own Concentus Musicus Wien. Using the version completed by Mozart's copyist, Xavier Sussmayr, as amended more recently in the new critical edition by Franz Beyer, Harnoncourt produces a ready answer to those who would suggest that nobody can do anything new with the old warhorse. The conductor tells us in a booklet note that he quit performing in an orchestra to begin leading his own band when he decided he just couldn't play things like the Requiem in "harmless, sugary interpretations" anymore. His present performance, therefore, is vibrant, spirited, emblazoned with fiery color, his orchestra and his soloists--Christine Schafer, Bernarda Fink, Kurt Streit, and Gerald Finley--encouraged to produce an impassioned response. This is not say it entirely eclipses several other similarly animated accounts, like the one with Claudio Abbado and the Berlin Philharmonic that came out just shortly before it, but because Harnoncourt's players are miked a little closer and because his group is quite a bit smaller and play on period instruments, the results tend to get us closer to the action and move the adrenaline faster. Abbado, on the other hand, is not really any more expansive than Harnoncourt, but as the sound is so much bigger, it seems broader in every respect. They are both good, lively interpretations, both recorded live, I might add, and the choice between them might not be easy to make despite their different approaches. I tend to fancy the new Harnoncourt recording despite some odd balance discrepancies in the choral-orchestral settings and its being made live, something I don't usually care for; luckily, his audience is quiet and unobtrusive. The big "however" is that I personally prefer several other period-instruments presentations to this one (see "The Basic Classical Collection"), so the matter for me is moot in any case. Interestingly, another note in Harnoncourt's disc booklet goes on at length about how there is no actual "Mozart Requiem" and people should not call it such because the man never finished it, other hands, like Sussmayr's, Beyer's, and Harnoncourt's, revising it many times over. Nevertheless, the CD labels this recording Mozart: Requiem. Go figure. Also of interest, Deutsche Harmonia Mundi issued the music on both an SACD hybrid disc (double layered, two-channel and five-channel) and a regular stereo disc. I listened to the two-channel stereo layer of the SACD, presumably identical to the stereo issue and pretty much liked what I heard, be it live or not.